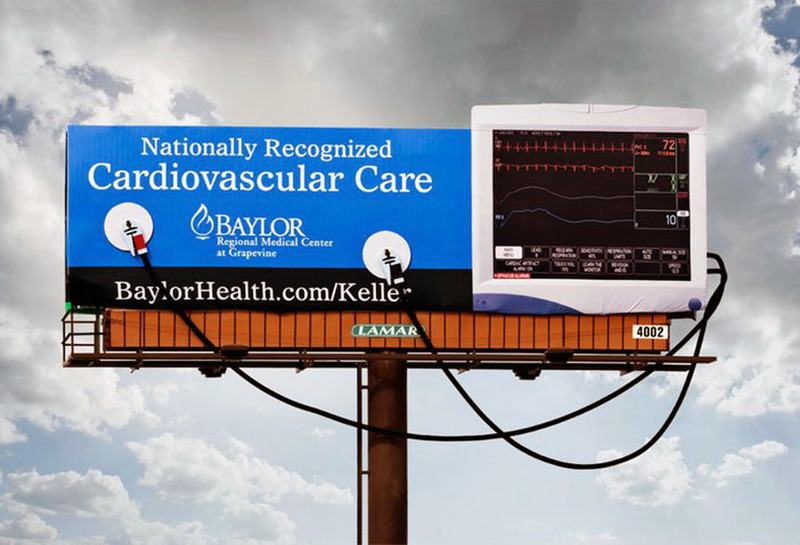 Baylor regional medical center ran a bulletin billboard campaign in Grapevine, TX to promote cardio-vascular care. It was impossible to miss this billboard with its elaborate 3D extensions depicting a heart monitor and wires. This billboard was both attention-grabbing and informative.